Have a headache after watching the Giants kill the Patriots in the superbowl? Well luckly for you there is a temporary solution thanks to todays free advil sample. Unfortunately, the free advil sample only works for headaches. In other words your going to have to find another medicine to take care of the lifetime of shame from watching your favorite NFL team choke. Maybe this journal will help you with writing down your sad feelings and frustration. Oh, and Happy Birthday to Nick! 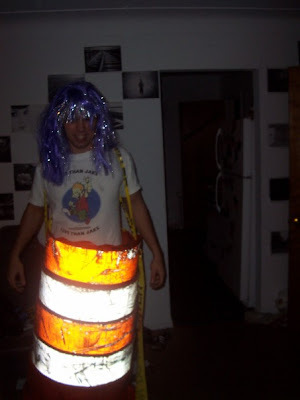 BTW, are you wearing a construction cone?